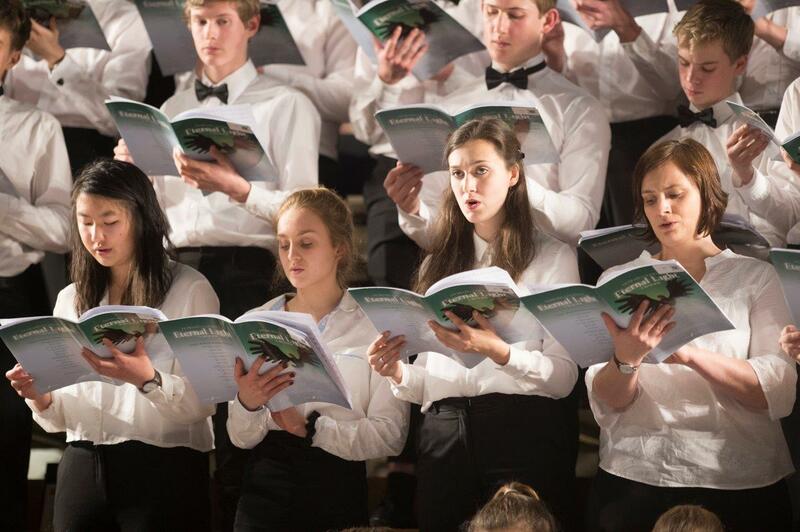 The annual Exeter School Choral Society concert held at Exeter Cathedral on Thursday 15 March was once again a highlight of the musical year, drawing together pupils, parents, staff, alumni and guests from the school's community. 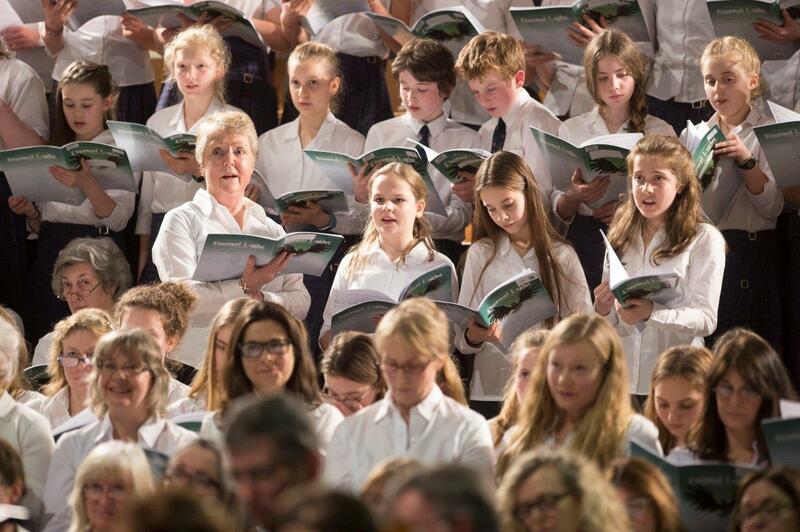 The concert opened with Middle School Choir singing Howard Goodall's arrangement of 'The Lord is My Shepherd', best known as the theme tune from The Vicar of Dibley. 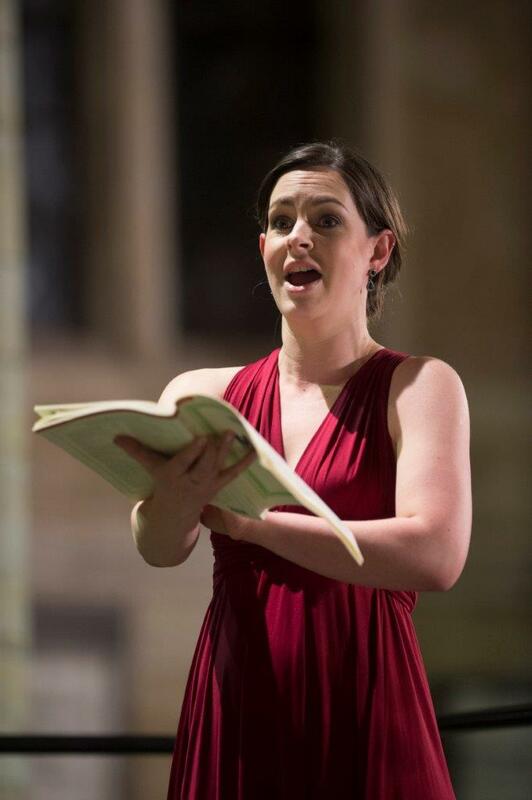 The purity of their voices combined with their close attention to Mrs Guthrie's direction meant that the main chorus had to aim high and concentrate hard to meet this level of performance when they rose to sing Eternal Light, also by Goodall. Supported by a professional orchestra including many of our peripatetic music teachers, they managed not to disappoint, with the contrasting styles contained within the piece all coming across confidently and musically under the direction of Director of Music Peter Tamblyn. Middle School Choir again featured, mirroring a solo section performed by Emily Moudiotis very effectively. Within the Goodall, eight current Sixth Form pupils took on solo roles, who all embraced the opportunity take centre stage with assurance and skill. 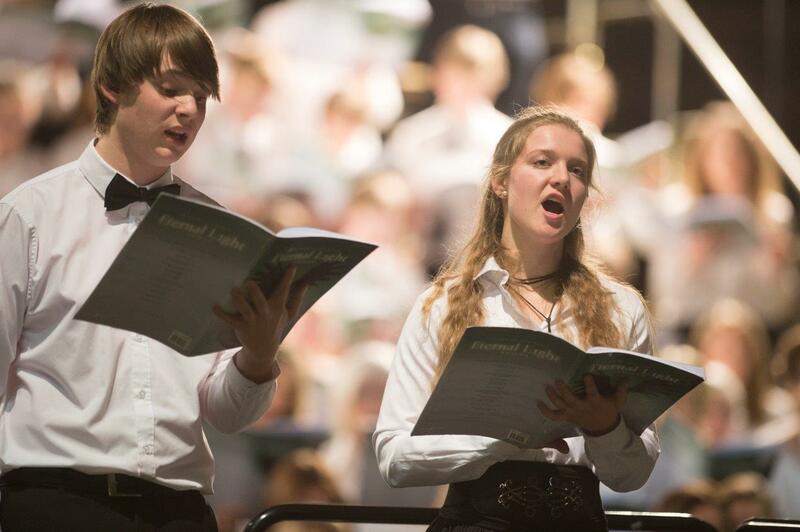 Zeb Cobb, Emily Bairstow and Katy Armstrong were experienced Choral Society soloists, having sung solos in last year's concert, whilst Oran Friar has previously performed a solo part on his violin but this time delivered a vocal solo. 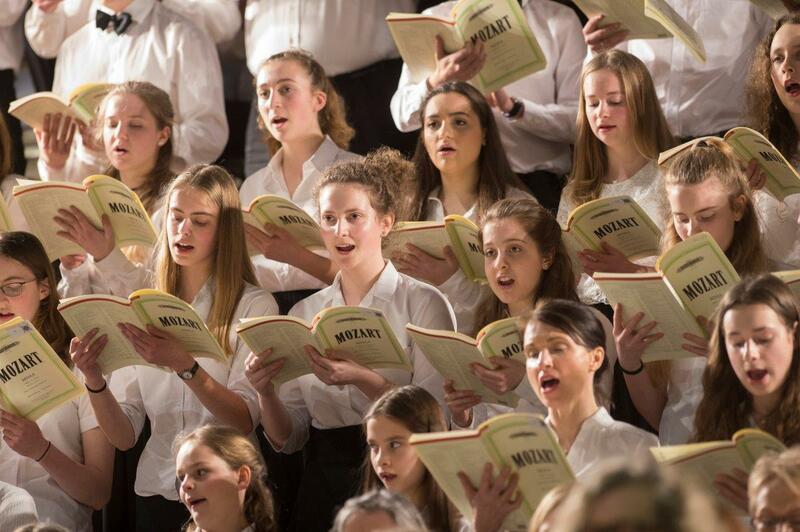 Beth Pittman, Emily Moudiotis and Ettejean Girvin are all also comfortable taking centre stage - along with being skilled singers they have all appeared in school drama productions, and so their solos in the concert were all conveyed with confidence. Will Partridge took on a solo part in both the Goodall and the Mozart demonstrating a warm baritone tone. The second half of the concert was all-Mozart, initially featuring the small but perfectly-formed Ave Verum, sung by Chamber Choir under the direction of Assistant Director of Music Tom Brimelow, and then followed by movements from the Mass in C minor. 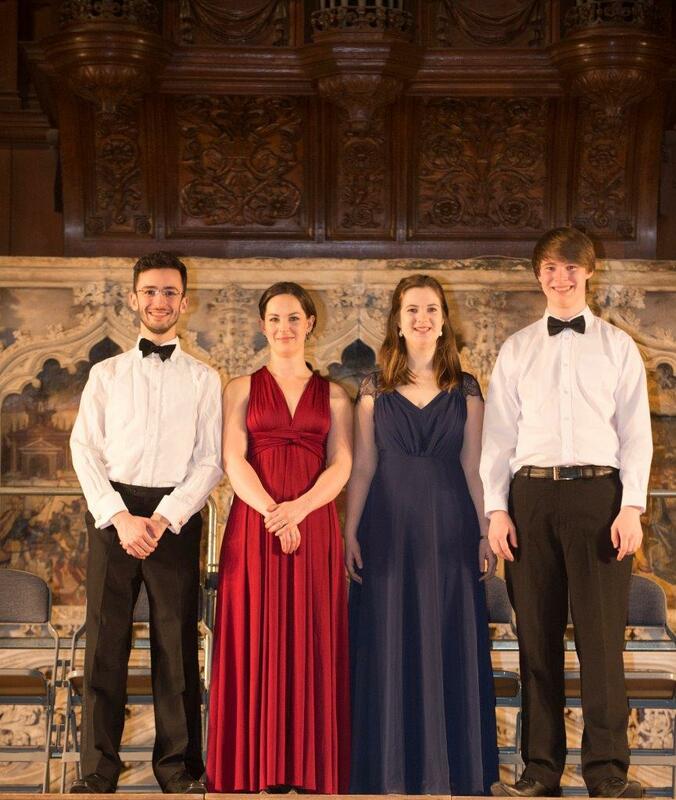 For this piece, the soloist platform welcomed back three former pupils, Elle Williams, Ellie Partridge and Jon Schrantz, who are all now forging professional careers are musicians. They were joined by current Sixth Former William Partridge singing the bass part within the solo quartet. 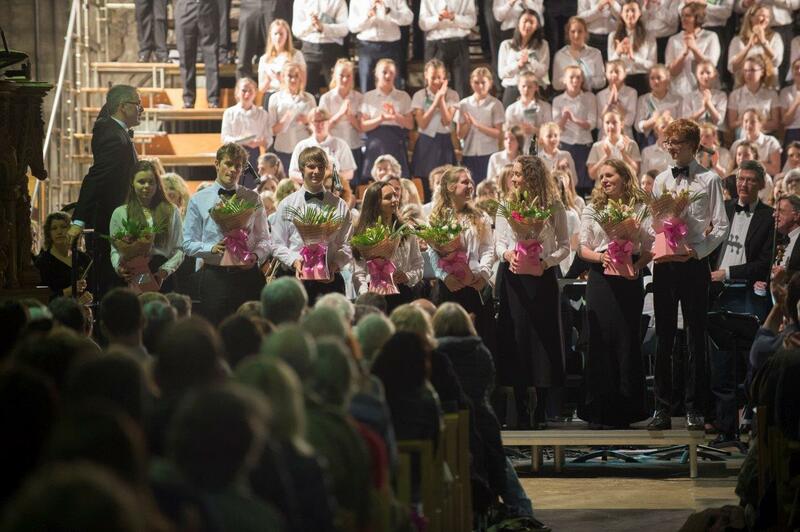 Conducted by Music teacher Tina Guthrie, the Mass provided a magnificent end to a thrilling concert.